Add sophisticated and modern styling to your bedroom with this elegant nightstand. 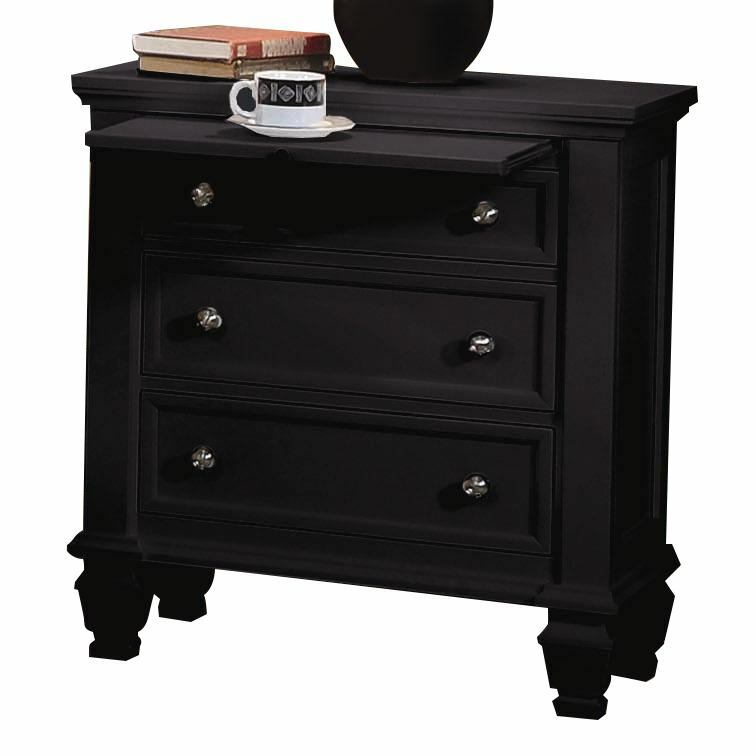 The nightstand has three drawers for plenty of storage and a unique pull out tray that offers more space for your laptop, books, or reading glasses. Featuring a carved bun feet, and silver color hardware, this nightstand is versatile enough to be used in an adult or childâ€™s bedroom.